I think that it is a racket that sticks to stability especially among this series. Stability is over the county even compared with other badminton rackets, so it is recommended for beginners to intermediate users. ANDY	（Experience：４〜５ years）	Stability is the best. Although it is an overall balanced racket, stability is outstanding among them. By concentrating weight on a part of the frame, it is easy to swing because it is improving stability. Because the amount is not so expensive, it is recommended especially for intermediate players. The shaft is so soft that even beginners and women are fine. It is light and has excellent controllability, and it can be divided freely if you get used to it. The easiest to operate is probably the biggest selling. Although flying is also unfavorable, it might be too light for a power hitter and somewhat unsatisfactory. Madoka	（Experience：Less than a year）	Lumina Sonic AF is a racket easy to use even for beginners. I am a badminton beginner. Anyway, asking for a light and easy to use racket, it was Mizuno Lumina Sonic AF that the clerk of the sports shop recommended. I also decided on this feeling that I gripped the grip. It was very lightweight and the sweet spot was also spread, so I was able to enjoy rally for beginners I. The hardness of the shaft is soft, it will be suitable for beginners. It is also light and easy to swing. It is also excellent in controllability, so you can drive it down or drop it aimed. I think that it can be said to be a high-performance racket with good handling, very comprehensive power. E miko	（Experience：Less than a year）	I think Lumina Sonic AF is recommended for beginners. I am just a beginner who has just started. Anyway, consulting with a friend with an easy-to-use racket and picking it in hand picked it up and Mizuno Lumina Sonic AF was the lightest and I decided to buy it. 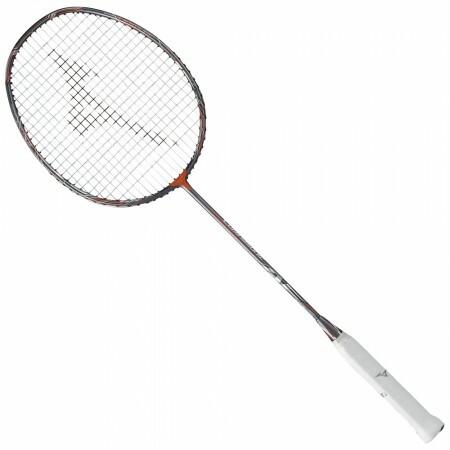 Actually using it I think that the handling is very light and very easy to handle racket. I think that it is a racket brought to beginners. Madoka	（Experience：Less than a year）	Lumina Sonic AF is very easy to use. I started doing badminton with my friend's invitation and it was good to use the racket as easy as possible, so I tried to Mizuno Lumina Sonic AF in advance of the shop. I bought it immediately with a racket with a light feeling that I had in my hand and good swing. I think that it is a racket that is easy to use because it is a wasteful thing for beginners like me.